This study guide uses text integrated with video to help learners gain real-world skills that will get them started in their career in planning, shooting, and doing post-production on video projects and lays the foundation for taking the Premiere Pro ACA exam. A mix of project-based lessons, practical videos, and regular assessments throughout prepares beginning learners for an entry-level position in a competitive job market. Written by an instructor with classroom teaching experience, the book covers all of the objectives of the latest Video Communication Using Adobe Premiere Pro CC Adobe Certified Associate Exam. Gain in-depth knowledge of Premiere Pro, and learn how the software “thinks.” You’ll acquire new skills that will help you choose the best workflow for your project, and simplify and accelerate your video editing process. Learn how you can edit a lot faster with smarter workflows that automate several steps in the editing process. You’ll also see how custom settings, presets, keyboard shortcuts and templates saves hours of work. By tailoring the software to your needs you save clicks on just about every task. With many traditional jobs now being done by one person, its important to understand audio smoothing, color grading, motion graphics, and advanced editing techniques. You’ll learn these skills and disciplines and see how they’ll enhance your project’s workflow. All the authors are professional editors and want to know exactly how to cut your film as fast as possible with top quality output. There is invaluable information in The Cool Stuff in Premiere Pro that’s not available anywhere else – not even in Adobe’s own manuals. Know when to send your clips to other Adobe software, and how to treat them there. Video journalists (and everyone else) will learn how to edit faster and get home in time for dinner. Bloggers will learn how to make their online video and audio “pop”. Film cutters will learn how to organize, rough cut and fine tune huge amounts of material effectively and how to output for digital cinema. Experienced video editors will learn how to deal with multi-track audio and to work faster in every step of the edit. Marketing people who edit video for social media and web pages will learn simpler ways to make a faster cut. Teachers in media studies will understand the logic in Premiere Pro, and be better prepared for teaching video editing. 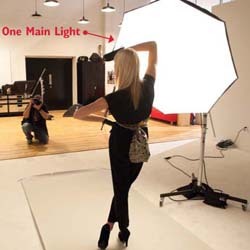 Here are a few things I wish someone had told me before I started studio lighting. In this book, I list ten things about lighting. Here are three to get you started right away. Photoshop; it is undoubtedly a household name for all ‘photoshopping’ endeavors. Whether you know what Photoshop is capable of or are a complete beginner wishing to create excellent digital works, you will hear almost everyone tell you that you can always ‘Photoshop’ it to make it the way you want. Whether you are a designer, photographer, a digital artist or a casual graphic design enthusiast, having a powerful graphics software and photo editing application especially if you aim to create great digital works is critical and actually not anything, you can debate about. Although there are plenty of graphics apps and photo editing software to serve different fields, Adobe Photoshop is ever-present as an industry-standard software for graphics solutions. From being the best in photo effects to providing excellent results that are eye catching, Photoshop does it all. The Photoshop application is undoubtedly the leading editing software trusted and widely used by professionals. But just because Photoshop as a product is extremely powerful doesn’t mean that it will magically transform your photo the way you want without your input. In essence, you MUST learn the basics if you truly want to unleash some if not all the powerful features that Adobe Photoshop boasts of. Photoshop may be a baffling application to understand especially for first timers. This beginner’s guide will help you learn the basics of Photoshop and photo editing and get you started on this exciting journey. Take action and buy this book today! Photos are windows into our souls, into our lives and memories. Each photo brings back countless emotions and is a snapshot of a moment in time. Looking at a wedding photo brings back fond memories of smiling, dancing, being surrounded by cheering friends, and perhaps crying as you stared into the eyes of the love of your life. Looking at a picture of an old pet brings back nostalgia for your childhood, remembrance of bright, sunny days when you went to the park to play catch or take a walk, and of grooming soft fur. Yet oftentimes these pictures turn out blurry or simply wrong, but who really cares as long as at least one picture is decent? But what if you could do more than just avoid blurriness? What if you could really, truly capture an important, memorable moment in your life with a quality that brings tears to your eyes years later rather than the question: “Where was this even taken?” Maybe these questions aren’t things you’ve thought about, or things you even knew you needed to know to take good pictures. But these are all very much keys to succeeding at digital photography. In this book, I will lead you through every step to success you need in learning how to take digital photos like a professional. This includes: • Choosing the right camera • Photography techniques • Specific types of photography, like food, weddings, and landscapes • Photo editing • And much more! So go on, and give it a shot. Soon you will find that the perks of knowing how to properly take a photo go far beyond merely saving money at a wedding by taking the photos yourself. After all, “a picture is worth a thousand words,” and our memories caught in an eternal moment of time are priceless. This critically-acclaimed interactive training program from Peachpit and Adobe Press offers exceptional quality high-definition video to teach the workflow fundamentals of Adobe Photoshop CC and Adobe Lightroom CC, specifically with the photographer in mind. Experienced instructor and photographer Mikkel Aaland presents the basics of moving Lightroom files to Photoshop and back. 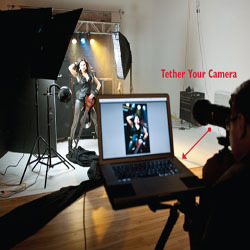 You’ll learn to perform photo retouching, how to add dynamic type to your images, and fix camera shake. You’ll discover how Photoshop can bring your portraits and slideshows to a new level. 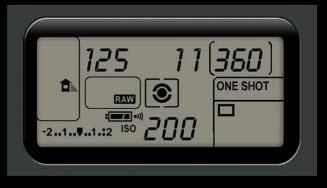 You’ll also learn how new panorama and HDR features give Lightroom a boost. With this video you’ll discover how the two programs, Photoshop and Lightroom, work in tandem so you know when to use what tool. The video is wrapped in a unique interface that allows you to jump to any topic and also bookmark individual sections for later review. The unique “Watch and Work” mode shrinks the video into a small window to allow you to work alongside in Adobe Photoshop and Adobe Lightroom as you view the video. Project files used in the lessons are included on the disc so you can practice what you’ve learned. At the end of every lesson, you can test your knowledge by taking interactive quizzes. computer, but it will NOT play in a DVD movie player. Creative Cloud Photography plan member for up to 20% off your first year! This critically-acclaimed interactive training program from Adobe Press offers exceptional quality high-definition video to teach the fundamentals of Adobe Photoshop CC. Including more than 15 hours of video tutorials, the course comes complete with lesson files, assessment quizzes, and review materials. Experienced instructor Kelly McCathran presents a comprehensive introduction to Photoshop, including best practices as well as fundamental photography and image editing concepts. Beginning with an overview of the Photoshop interface, Kelly goes on to cover Photoshop’s new and improved features such as Design Space (Preview), the new Perspective Warp tool, Noise panel, improvements to Content Aware Fill, and more. The video is wrapped in a unique interface that allows you to jump to any topic and also bookmark individual sections for later review. The unique “Watch and Work” mode shrinks the video into a small window to allow you to work alongside in Adobe Photoshop as you view the video. Project files used in the lessons are included on the disc so you can practice what you’ve learned. At the end of every lesson, you can test your knowledge by taking interactive quizzes.